The piece, commissioned by fellow band member George Harrison in 1973, was displayed at Takashimaya to mark the opening of a new Asprey store. The London jeweller is selling replica sets for £15,000 each. Starr apparently learned to play chess during the making of the Sergeant Pepper album, released in 1967. The "hands", designed by Robin Crookshank, are set in a certain gestures to represent each chess figure, and include the rings worn by the star. The Takashimaya department store, established in the 1930s in Kyoto as a kimono shop, is now an eight-storey shopping and dining emporium. 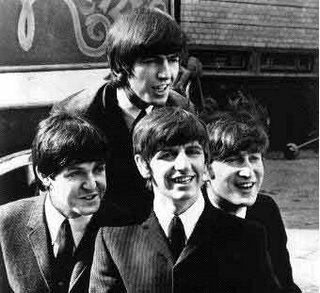 I like the Beatles and i have got a blogspot too. who is the king? Paul probably, with Linda as the queen. I am glad that they are marketing more Beatle stuff.I would like to see a beatles checkers or Beatles game come out in the near future. Anything they sell will be bestsellers!